LEBANON, Ohio (AP) — A southwest Ohio sheriff says a man accused in a shooting that left a deputy and the suspect's father wounded is facing preliminary charges that include attempted murder. 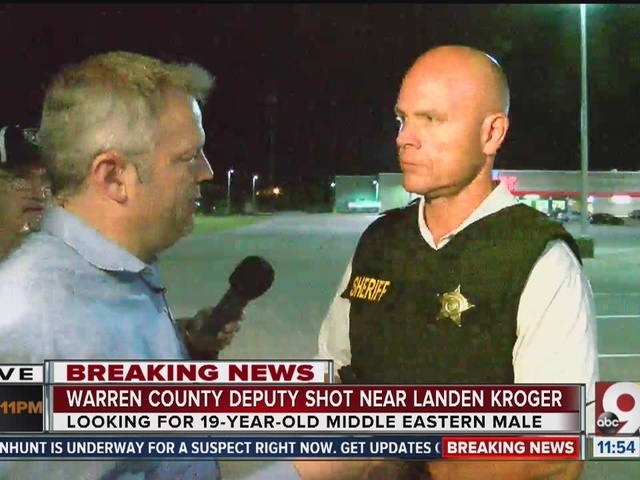 Warren County Sheriff Larry Sims said Friday that 19-year-old Mohammed Abdou Laghaoui was taken into custody at about 4:30 a.m. after he returned to an apartment complex in Deerfield Township, where the shooting took place. 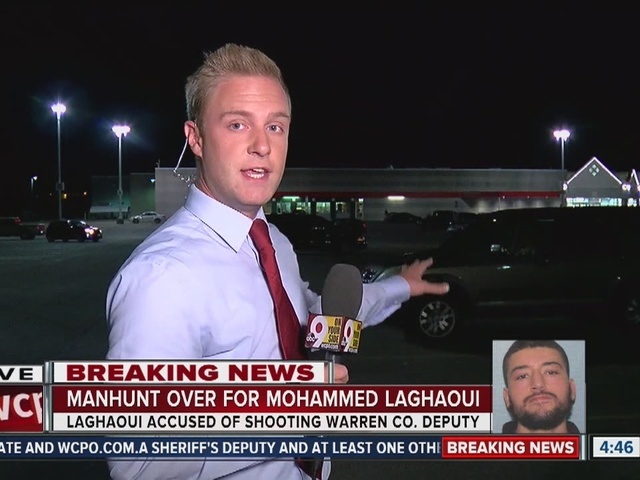 Laghaoui initially had fled the scene, leading to a seven-hour manhunt, the Warren County Sheriff's Office told Cincinnati-based WCPO. Sims said Deputy Katie Barnes was responding to a domestic situation at the apartment complex when she was shot in the abdomen. She's expected to recover. The suspect's father was shot in the hand. Sims said Laghaoui fired an assault rifle yet to be recovered. He's being held at the Warren County Jail. 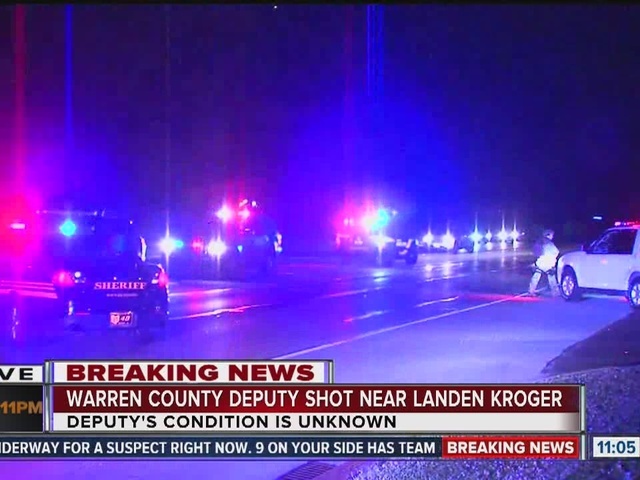 The search began after a sheriff's deputy and a civilian were shot, and 19-year-old male Mohammed Abdou Laghaoui was on the loose Friday morning after law enforcement responded to reports of an "active shooter" near a Deerfield Township Kroger, according to dispatchers. Deputies issued a shelter-in-place order — which means no one is to leave their residence or indoor location, and all doors should be locked — immediately upon engaging in the search. 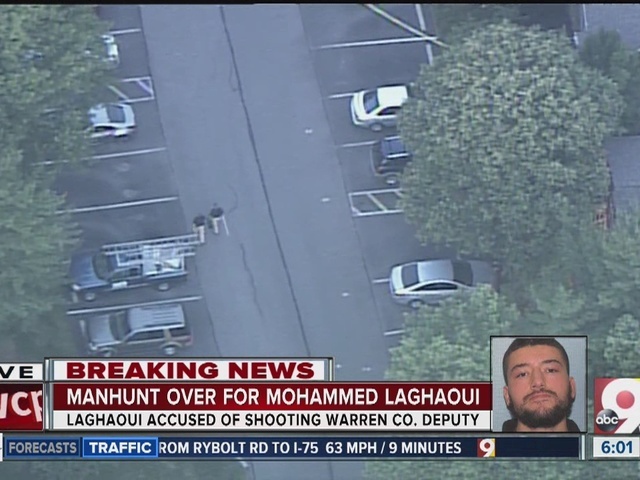 The shelter-in-place lasted until just before 5 a.m., when officials with the Sheriff's office say Laghaoui returned to his apartment at the Orchards of Landen complex, where deputies were waiting for him. He told them he had thrown his weapon in a nearby lake and surrendered himself into custody. The injured deputy was reportedly awake and talking after being transported to University of Cincinnati Hospital Medical Center. She was responding to a report of a domestic disturbance around 9:45 p.m. when, upon deputies' arrival, the suspect opened fire, wounding the deputy, according to Warren County Sheriff's Lt. John Faine. The deputy, a woman who has not been identified, was released from the hospital shortly before 4 a.m. The other victim, a male civilian, suffered non-life threatening injuries, Faine said. Faine said he could not comment on the nature of the domestic disturbance, and said that investigation would be secondary to locating the suspect. Officials issued a Blue Alert for all of southwest Ohio around 2 a.m. Friday. A Blue Alert is a notification system that is intended to enlist public assistance in the event of a law enforcement officer being critically injured or killed or missing, and the suspect or suspects are still at large. The Deerfield Township Fire Department tweeted about the situation around 10 p.m. Thursday night. Active shooter in the area behind Kroger in Landen. Be advised to stay inside and not open doors to strangers. 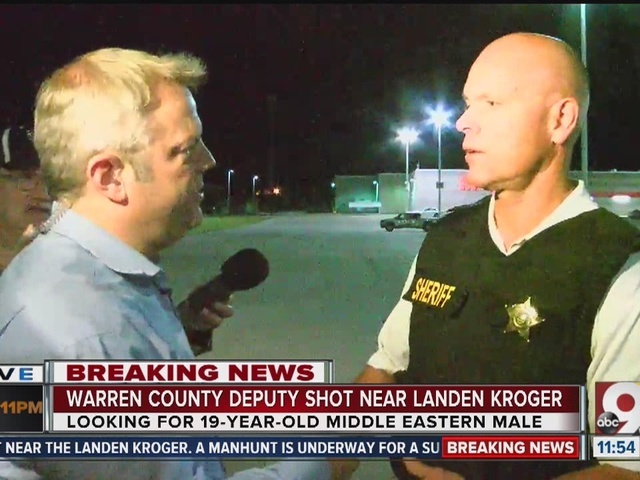 The supervisor for Warren County dispatch later confirmed authorities were searching for an "active shooter" suspect in the area around the Kroger. Dozens of residents and owners and patrons of nearby businesses were stranded for hours, unable to leave or return to their homes. 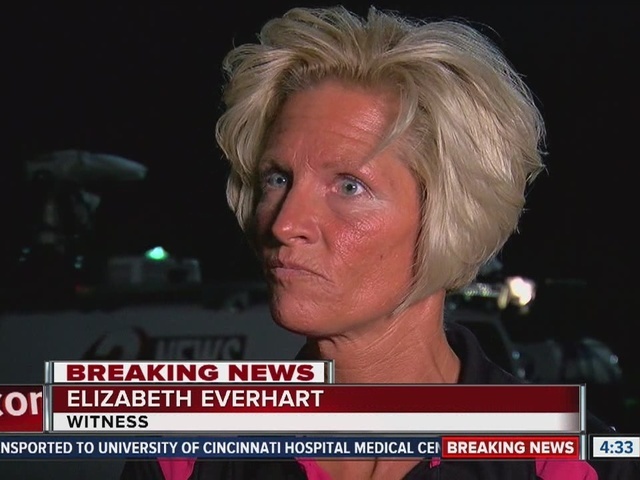 Elizabeth Everheart, manager of a nearby Shell station, described the tension in her store as they locked down after the shelter-in-place alert was issued: "There was police with assault rifles going through the yards, scanning the area, and I just told him that police had it under control and that we were fine. WCPO will continue to update this story as it develops. WCPO web editors Pat LaFleur and Austin Fast; reporters Ashley Zilka, Jay Warren, Kristen Swilley, and T.J. Parker; and photographer Andy Overton contributed to this report.